The National Eligibility (NET) Exam, also recognized as UGC NET or NTA-UGC-NET is an examination to ascertain eligibility for university and college level lecturership and for the award of (JRF) Junior Research Fellowship for Indian citizens. It endeavors to assure minimum standards for the candidates in teaching professions and research. On behalf of the University Grants Commission (UGC), the National Testing Agency (NTA) conducts the examination for determining the eligibility of Indian citizens. Till July 2018, the (CBSE) Central Board of Secondary Education administered the UGC NET exam but from December 2018 onwards, NTA is administering the UGC National Eligibility Test. The UGC NET exam is conducted twice a year in an online mode instead of offline mode. National Testing Agency has been built by the Government of India as premier and independent organization to administer entrance exams for admission/ fellowship in higher educational institutions. The agency has been given the responsibility to administer popular exams like UGC NET, NEET, CMAT, and GPAT, JEE Main. This Exam is named as UGC NET (University Grants Commission National Eligibility test) 2019 which is now conducted by (NTA) National Testing Agency which is a PG level of examination. The duration of the examination is Paper I: 60 Minutes and Paper II: 120 Minutes. This exam is only for the selection of applicants for posts of only Assistant Professor or both Junior Research Fellowship (JRF) and Assistant Professor in Indian colleges and universities. The National Testing Agency (NTA) has declared UGC NET June 2019 exam schedule. NTA UGC NET is programmed to be conducted from June 20 – 28 in two shifts per day. It may be noted that for the June exam no break will be given to candidates between paper-I and II. On June 21, 2019, the first shift will be from 9.30 am – 12.30 pm and second shift will be from 2.30 pm to 5.30 pm and same goes for June 24, 2019, June 25, 2019, June 26, 2019, June 27, 2019, and June 28, 2019. The official NTA website has informed that the exact date and shift as per the subject opted by the candidate as well as the city and the Centre will be notified on the Admit card. Admit cards for UGC NET June 2019 exam will be released on the official website of the exam on May 15 and the results would be declared by July 15, 2019. UGC NET exam pattern till 2017 was such that the test was administered in three sessions wherein candidates had to appear for three different papers. But, in 2018 the (CBSE) Central Board of Secondary Education had changed the UGC NET exam pattern. Currently, all applicants need to appear for two papers (paper-I and II) only. Assistant Professor and JRF positions are given to the candidates on the basis of their performance in two papers. However, it may be noted that only 6% of the candidates clearing the UGC NET exam is declared eligible for the post of Assistant Professor. Also, the reservation procedure for OBC, SC, ST, and PwD applicants is employed to this 6%. But now with the launch of NTA, some changes have been introduced in the National Eligibility Test. Till July 2018, UGC NET was administered as a pen-and-paper based test. But, now the exam is conducted as a Computer-Based Test (CBT) only. Also, the application fee for UGC NET has been reduced for all categories of students. Also, NTA is offering free coaching to UGC NET applicants. NTA has entered changes in UGC NET 2019 exam pattern. Till December 2018, the UGC NET exam pattern was such that the test consisted of two papers (Paper I, II) that were conducted in two different sessions. Candidates had to complete both the papers (Paper I, II) in a duration of one and two hours, sequentially. But, going forward, the UGC NET exam for both the papers will be conducted in a single three-hour duration. Like the previous year, the papers will be conducted in the Computer-Based Test (CBT) mode and will contain objective-type questions. It may be remarked that it is compulsory for candidates to appear for both the papers in order to be eligible for JRF and Assistant Professor or Assistant Professor only. Also, all questions will be mandatory to attempt in UGC NET June 2019 exam. There will be two papers: Paper I – will be of 100 marks carrying 50 questions and Paper II – will be of 200 marks carrying 100 questions. Total of 150 questions of 350 marks. About the paper-I of the exam, the questions will be general in nature, aiming to evaluate the teaching/research aptitude of the candidate. It will essentially be designed to test logic ability, comprehension, conflicting thinking and general knowledge of the candidate. About paper-II, this will be based on the subject selected by the candidate. All the questions of Paper–II will be mandatory. Marking scheme: Two marks will be granted for each right answer. Additionally, there will be no adverse or negative marking in the exam. 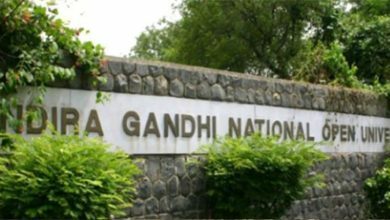 (NTA) National Testing Agency has declared an advisory stating some guidelines for UGC NET candidates. All candidates are advised to read the advisory and guidance mentioned on the admit card thoroughly. Candidates can also go through directions given for better clarity. Such as what to carry what not to carry during the exam. UGC NET 2019 Examination will be a computer-based test and candidates will be given a pen/ pencil and blank sheets for rough work. But, candidates are still advised to carry a pen/ pencil to the exam centre to withdraw any last minute annoyance. UGC NET candidates are not permitted to carry any device, metallic item or automatic gadgets/ devices to the exam hall. It may be noted that there might also not be any provision for safekeeping of the candidate’s valuables. Items that are prohibited inside the exam hall may include any kind of Stationery/ Paper/ Textual material (printed or written material), Handbag/ Purse, Geometry/ Pencil box, Eatables and Water (loose or packed), Mobile Phone/ Ear Phone/ Microphone/ Pager, Watch, Calculator, DocuPen, Slide Rules, Log Tables, Camera, Tape Recorder, etc. In the case of any diabetic student eatable material like sugar tablets, fruits and transparent water bottles are allowed. But, such candidates are not allowed to carry any packed food like sandwiches, chocolates, candy, etc. Admit card: Candidates need to bring a cleared printout (preferably colored printout on A4 size paper) of the downloaded UGC NET admit card from the NTA website. Passport size photograph: Candidates need to carry one passport size photograph (same as uploaded on the application form) that will be pasted on the attendance sheet at the exam centre. Candidates need to carry a valid and original photo ID proof such as PAN card/ Driving License/ Voter ID card/ Passport/ Aadhaar Card (With photograph)/ E- Aadhaar/ Ration Card to the test centre. The ID cards issued by schools/ colleges/ universities/ coaching centres, Aadhar enrollment receipt without Aadhar number and photocopies or images stored in mobile phones, etc will not be admitted. PWD certificate: Applicants who crave to claim relaxation under the PWD category must carry their PwD certificate issued by the competent government. Applicants who have obtained at least 55% marks in their Master’s degree exams in streams such as Electronic Science, Humanities, Social Science, Computer Science & Applications, etc from a UGC recognized college/ university fulfill UGC NET 2019 eligibility criteria. It may be remarked the minimum percentage required to meet UGC NET eligibility guidelines for candidates belonging to SC/ ST/ OBC/ PWD categories is 50%. Applicants who are looking or awaiting results for their final year examination of a Master’s degree are also suitable to appear for UGC NET 2019. Nevertheless, before-mentioned applicants will be declared temporarily and will be analyzed for Assistant Professor or Assistant Professor and JRF only when they pass their Master’s exams with the necessary percentage. Before-mentioned candidates must complete their PG degree examination within two years from the date of NET result with required percentage of marks, failing which they shall be treated as disqualified. Ph.D. holders whose Master’s degree is completed on September 1991 (regardless of the result declaration date) will be allowed for the amusement of 5% marks in the aggregate. This means that the least percentage required to meet UGC NET 2019 eligibility criteria for such candidates will be 50% rather than 55%. Age Criteria for the Junior Research Fellowship (JRF) is not more than 30 years. Relaxation of five years is given to SC/ ST/ OBC/ PWD and women aspirants. Amusement is also given to applicants having research experience limited to the period spent on research in the appropriate subject of post-graduation degree. Three years relaxation is also given to applicants holding LLM degree. For Assistant Professor there is no age limit to apply. Immunity (For Candidates Applying for Assistant Professor Role)- Applicants who are bearing or have been awarded a Ph.D. degree in accordance with UGC Regulations, 2009 will be exempted from the requirement of meeting the minimum eligibility criteria for NET/SELT/SET. Also, Applicants who have cleared UGC/CSIR JRF examination before 1989 are exempted from appearing for UGC NET 2019 exam. Applicants who have qualified States Eligibility Test (SET) before June 1, 2002, are exempted from appearing for UGC NET 2019 exam. Such applicants can apply for the post of Assistant Professor in universities/ colleges across India on the basis of their SET score. Applicants who have qualified the States Eligibility Test after June 1, 2002, can apply for the post of Assistant Professor only in universities/ colleges that are located in the state from where they have qualified the SET exam. Applicants are also recommended to give the UGC NET 2019 exam in the subject of their post-graduation only. Applicants whose post-graduation subject is not covered in the list of subjects given by UGC may appear in a related subject. Also, applicants holding a post-graduate degree/diploma by an Indian University or international university awarded international degree/diploma/certificate must determine if their diploma/degree/certificate is comparable to the Master’s degree of recognized Indian universities. Applicants must define the equality from the Association of Indian Universities (AIU), New Delhi. UGC NET exam process is before-mentioned that applicants first require to register for the examination by filling the application form on the official website of NTA. Once applicants are successfully enrolled for the exam, they can download their admit card from the official website of the exam as per the designated schedule. After downloading the admit card, applicants need to appear for UGC NET exam as per the date and time mentioned on the admit card. Once the exam is over, UGC NET results will be cleared on the official website of NTA post which all qualifying applicants will be eligible for Junior Research Fellowship (JRF) and Assistant Professor. Candidates interested in this exam can check the detailed step-wise process of the UGC NET exam. For UGC NET 2019 registrants, applicants need to fill the application form in the online mode on the official website of NTA. For the same, applicants first, need to click on the Fill Application Form link on the official website if NTA. Hereafter, applicants need to register as a new candidate by clicking on the Apply for UGC NET December 2019 button. Applicants must note that before filling the application form, they need to fill an authentication form on NTA’s official website. The authentication form will require candidates to fill all identification-related details such as a state of residency, identification type (Aadhaar number, passport number, student ID, etc), candidate’s name, date of birth, etc. Once the authentication form is successfully filled, applicants can proceed towards filling UGC NET December 2019 application form. Some of the details to be filled in the UGC NET application form are the exam associated information such as a choice for UGC NET exam centres and subject as well as the role for which a candidate wants to give the exam. Personal data such as name, gender, parent’s name, mobile number, email address, date of birth, Mailing as well as permanent address, etc. Institutional information such as the subject of postgraduate, status of post-graduation (passed/ appearing), college name, year of passing post-graduation, etc. After filling all aspects in the application form, applicants need to select the mode of payment option to pay the UGC NET 2019 application fee. Applicants can make UGC NET application fee payment both via debit/ credit card or through bank challan generated during the online filing of the application form. Note that application fee payment through e-challan should be made in the State Bank of India. For General Category the UGC NET Exam Fee is Rs 800. For OBC the Examination Fee is Rs 400 and for SC/ ST/ PWD Exam Fee is Rs 200. After successful UGC NET enrollments, applicants need to download their UGC NET 2019 admit card by listing their application number and password on the official NTA website. It may be perceived that no UGC NET admit cards will be posted to the applicants. Also, applicants need to carry the admit card along with the One passport size photo, One original photo ID proof (PAN card/ Driving License/ Voter ID/ Passport/ Aadhaar Card (With photograph)/ Aadhaar Enrolment No/ Ration Card) at the allotted UGC NET exam centre. Applicants must notice that it is compulsory to carry UGC NET admit card to the allotted exam centre. Applicants not owning their admit cards at the time of the exam might not be permitted to give the exam. The admit card will display all necessary details such as the candidate’s name and roll number, exam date and time, and test centre location. Next, applicants need to appear for the National Eligibility Test at their allotted UGC NET 2019 exam centre. As mentioned UGC NET is a computer-based test that will consist of two papers (Paper-I and II) containing objective-type multiple choice questions. While the duration of paper-I is one hour, that of paper-II is two hours. The maximum marks that candidates can obtain in paper-I, as well as II, are 100 and 200, sequentially. Applicants must note that it is compulsory for candidates to appear for both the papers in order to be suitable for JRF and Assistant Professor. NTA will reveal UGC NET 2019 results on its official website as per the designated schedule. The results of The UGC NET exam can be checked by entering the applicant’s application number, date of birth and roll number in the space provided. The results will include the roll number and status (qualified for Assistant Professor and JRF) of applicants passing the National Eligibility Test. UGC NET 2019 cutoffs have not been released and issued yet. Still, applicants can check UGC NET cutoffs 2018 from the official website. In the official website, the cutoffs have been released by the agency subject as well as category-wise for JRF and Lectureship. Visit the official website of NTA and click on UGC NET December 2019 Cutoff, on clicking the link, UGC NET December 2019 cutoff list will appear on the screen frequently. The number of applicants to be passed in the exam shall be equivalent to 6% of the applicants who appeared in both papers of the exam. Complete slots are allotted to applicants belonging to various categories as per the reservation policy of the Government of India. Minimum marks that candidates need to score to be considered for the award of JRF and/or eligibility for Assistant Professor should be for the General category (Paper I and Paper II) – 40% total marks in both the papers taken together. For OBC/PWD/ SC/ ST (Paper I and Paper II) – 35% total marks in both the papers taken together. The Exam has not been conducted yet. But, once the exam is conducted, NTA will deliver UGC NET answer keys along with question papers on its official website. All applicants can check the UGC NET answer key on the official website of the exam by using login credentials. To check the Answer Key all you have to do is log on to the official website of NTA UGC NET then you have to click on the link, display of Final Answer Key and Question Paper. Applicants will be redirected to a UGC NET Login page then you have to enter the following details such as date of birth, security pin as shown on the screen and application number/ roll number then you have to click on the click on the Submit button. On clicking the button, applicants will get logged in and will be able to check their UGC NET answer key and question paper. It may be noted that before releasing the final answer key, NTA releases a preparatory UGC NET answer key along with the dexterity to challenge it. How to Challenge UGC NET Answer Key? All applicants who are not happy with the answers in the key can challenge it in the designated format on the official website of the exam. It may be noted that to challenge one question candidates have to pay a fee of Rs 1,000. The official NTA website informs that if the challenge of any applicant concerning captured images of response sheets (OMR sheets)/ answer keys is accepted, the fee will be returned to such applicants against the accepted challenge. In all different cases, the payment once paid will not be reimbursed. Applicants can pay the challenge fee in online mode via debit card/ credit card/ e-challan. Once challenges are accepted, NTA will look into them to resolve if any change in response is required in the challenged answer and thereafter will release final answer keys. Lastly, on the basis of the final answer keys, the UGC NET result will be made for different papers and applicants will be chosen for the post of Assistant Professor and Junior Research Fellowship (JRF). NTA has released the UGC NET 2019 exam centre details. The exam will be administered in a total of 263 cities across India if there will be adequate numbers of candidates in a particular city. It may be noted that it is compulsory for candidates to choose at least four cities in order of inclination as their choice for exam city at the time of filling the application form. The official NTA website informs that, the efforts will be made to allot the city of examination to the candidates in order of the selection opted by them in their application form. Though, due to administrative reasons, a different city in the nearby area may be allotted. Check complete details about the cities where the exam is going to held on the official NTA website. First of all the candidate must read the instructions on the admit card carefully. He or She must visit the examination centre a day before the exam to make himself/herself familiar with the address, location, and means of reaching the venue. Candidates must not indulge himself/herself in any illegal practice at the exam centre since all the exam centres are under CCTV monitoring and implemented with jammers. Do not omit to carry NET admit card and other documents to the exam centre. Enter the exam centre as per the reporting time specified on the admit card. Applicants reporting beyond the gate closing time of centre will not be permitted to enter the exam hall. Do not carry devices such as mobile phones, watches or any other gadget to the exam centre. Also, remember to return the rough sheet and admit card to the invigilator before leaving the exam hall. Do not bring any eatables or water inside the exam hall. List all necessary and essential details in the attendance sheet indecipherable handwriting and assure that left-hand thumb Impression is clear and not smudged.